In 2015, Shorten said the Abbott Government had "no more excuses" not to get rid of the tax. Opposition Leader Bill Shorten has backflipped on his opposition to the controversial tax. Bill Shorten has confirmed a Labor government would not remove the GST from women's sanitary products, backflipping on comments he made last year. The Goods and Services Tax currently applies to tampons and other sanitary products, but not to condoms or lubricant. It has been referred to as the "tampon tax", and became a major issue during Tony Abbott's time as Prime Minister. His treasurer, Joe Hockey, was famously the target of a massive online petition, and questioning on Q&A, about removing the GST. At the time, Shorten and his shadow treasurer Chris Bowen came out against the decision to keep the GST on female products. "This has always been about fairness when it comes to the taxation of essential items," Shorten and Bowen said in a statement in August 2015. "There's no more excuses now for Tony Abbott and Joe Hockey on this issue." 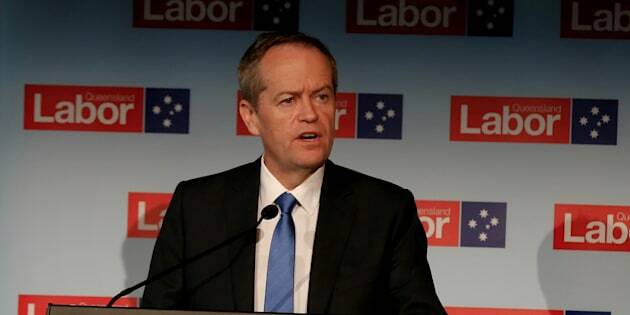 However, when asked at a people's forum in Brisbane co-ordinated by Sky News and the Courier Mail about whether a Labor government would remove the tax, Shorten admitted that would not happen. "No. I've got to say, I'm not going to make a promise I can't keep," he said. "What we won't do is be a big spending government.. it'd be nice to have a job where you could go along and tell everyone what they want to hear, but that's not leadership." Shorten tried to steer the question back to the Labor Party's announcements about protecting Medicare and lowering medical costs. "At this stage, let me be really clear about the finances of the nation. We will outline our full program, economic and social program, before July 2," he said. "What I will also do is, in our healthcare system, people get the healthcare they need."